There was a lot of excitement surrounding Legends of Tomorrow’s first season, but for all the fun of its mish-mashed premise, things never really seemingly clicked until the end—by which point, most people had already checked out. Thankfully, last night’s second season premiere was a strong new start, and fun as hell. Basically, Legends has become this weird parallel to the early days of Doctor Who. Legends’ first season was all about Rip Hunter moaning at his wacky teammates for mucking about with the timelines. 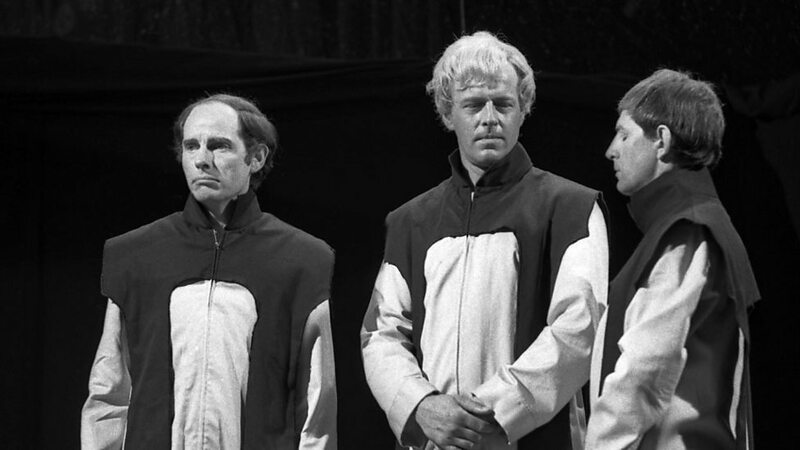 Shove them in black-and-white robes and it wouldn’t have been out of place in a Patrick Troughton adventure from the 1960s. Rip’s bosses, the Time Masters, even ended up being assholes, just like Doctor Who’s Time Lords! But with the Time Lords Masters taken out last season, Team Legends is now free to do what it does best: be goddamn heroes who can have fun. Their idea of fun is, thankfully, gallivanting about time and space seducing queens and punching Nazis. 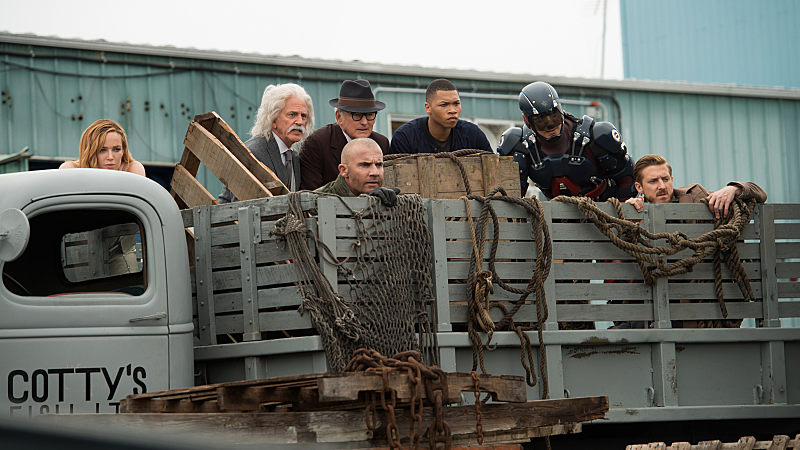 Last night’s premiere, “Out of Time,” is told through the framing device of Oliver Queen and mysterious historian Nate Heywood discovering a destroyed version of the Wave Rider (and an in-statis Heatwave) in the Atlantic Ocean, felt like a new mission statement for the show. The big threat of the episode—someone altering time so that the Nazis can blow up New York with an atom bomb (with the help of Albert Einstein) in 1942—is largely solved by the end of it. The only real hook for the rest of the season came at the very end of the episode (more on that later) so the show could focus on one big, crazy time-travel problem, and then move on to the next. The serialized nature Legends has seemingly taken on, and will hopefully maintain, gives so much more time for the the characters to just have wacky hijinks—like Dr. Stein and Heatwave trying to protect Einstein from Nazi captors in a spectacularly goofy fashion in a skit that also would’ve felt right at home in the middle of a zany Doctor Who episode. Unlike its sister show The Flash, Legends has finally embraced that time travel as a concept can be a ton of fun. I can’t wait to see if it maintains that feeling throughout the rest of this season. We knew it was coming, but the Dahrk/Reverse Flash team-up at the end of the episode was still amazing to see unfold. TV’s Legion of Doom has a very high capacity for some scenery-chewing villainy, and I can’t wait to see it. This show could just as easily become Sara Lance Seduces Famous Female Figures of History and I’d almost love it if it did. The big benefit of removing Savage, Rip, and the Hawks from the picture means way more time with the characters we really care about—i.e, the characters that were brought over from Flash and Arrow—and it’s already really working.